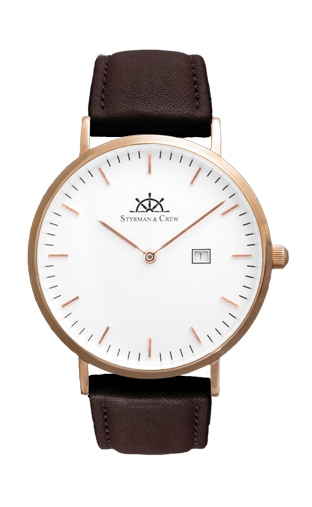 Driven by a Swiss movement, the only 7mm thin watch is characterized by utmost precision. The scratch resistant sapphire glass guarantees a long lasting, perfect view on the decent dial to ensure abiding pleasure. 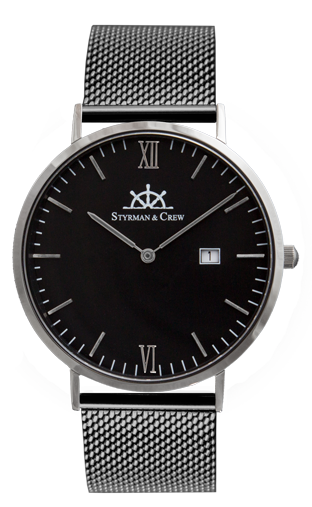 The strap of your Styrman is equipped with our Smart Release system. Changing the strap is therefore super easy within seconds – no tools needed! Further the strap is made of natural, allergy friendly leather which is certified according to IVN and ECARF. On top, you have the opportunity to take the Biokreis certified version, to get a strap that is made of organic leather. Our watches come along with a unique box that is made of recycled wood from old Balinese fishing boats. Perfect to reuse it for your accessories – no need to trash it – you are doing a great job for your environment! Sustainability Leather certified according to IVN-, ECARF and – if selected – Biokreis. 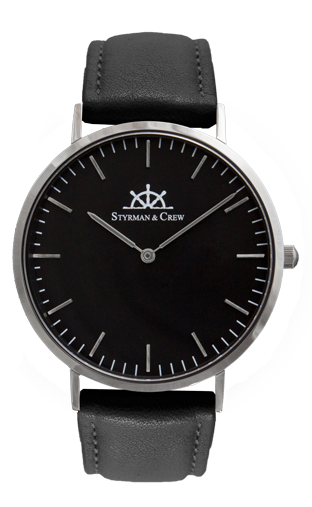 The leather of this Styrman is certified according toIVN, ECARF and respectively Biokreis.